March 13, 1988, L. G. Crabo. 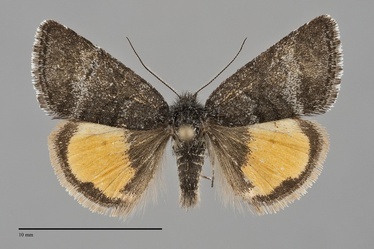 Annaphila arvalis is a small (FW length 11 mm) day-flying moth with a non-descript gray forewing and light orange-yellow hindwing with a thin black marginal band that flies east of the Cascades in very early spring. The forewing has a pointed apex and is dusty charcoal gray in color. The markings are reduced to paler gray bands at the positions of the antemedial and postmedial lines. The reniform spot is barely visible as a dark bar. The hindwing ground color is immaculate even light orange. The basal area and inner margin are dark gray, and a thin well-defined black marginal band is present. The fringe is pink. The discal spot is usually absent but occasionally evident as a small gray spot. The head and thorax are hoary charcoal gray with a thick covering of long hair-like scales. The eyes are reduced in size. The male antenna is filiform, black. 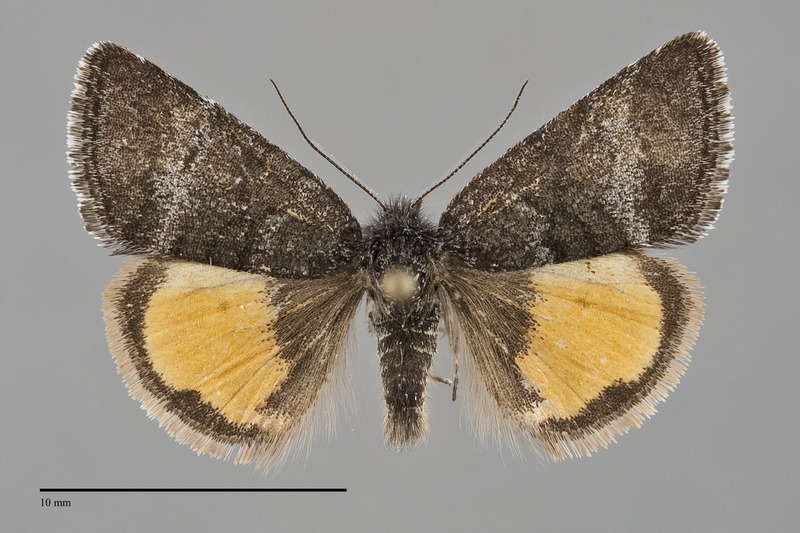 This species can usually be recognized by its plain pattern of gray forewings and light orange hindwings. Some females of Annaphila danistica have a similar unmarked central hindwing. They usually have a black discal spot and vestiges of a dark postmedial line at the inner margin. This species has large black spots in the distal cell of the ventral forewing that are absent in A. arvalis. This species appears to be widely distributed in foothill canyon and riparian habitats at middle elevations. 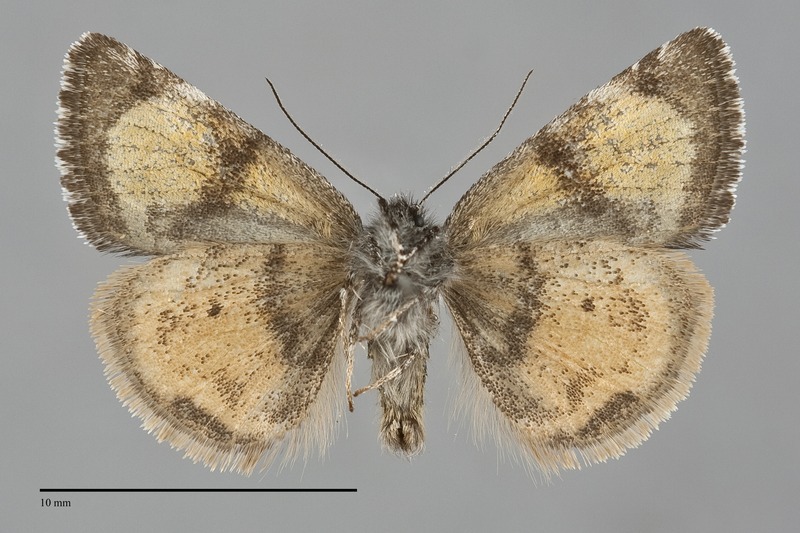 Annaphila arvalis has been found in southeastern British Columbia, eastern Washington, and northcentral Oregon in the Northwest. It is most commonly found in the foothills surrounding the Columbia Basin. The range of this species extends to southern California west of the crest of the Sierra Nevada. This species is a foodplant specialist feeding on miner's lettuce (Montia perfoliata) in the Portulacaceae. Adults are diurnal. They fly in the very early spring, often before the first butterflies emerge. The capture dates from our region are from early March to mid-April.